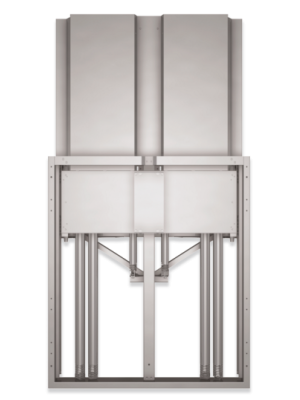 Accommodates almost any size of displays with the maximum loading capacity of 154 lbs. Comes with powder coated steel frame and covers that makes it rust-resistant. 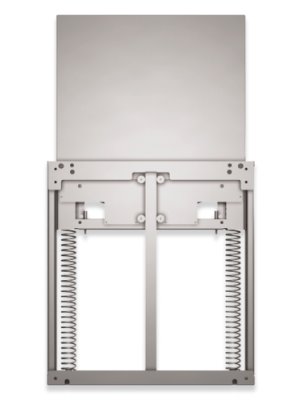 The BOXLIGHT BalanceBox 650-80 wall mount provides an optimal solution for the mounting requirements. Beautifully designed with powder coated steel frame and covers in order to resist the corrosion. 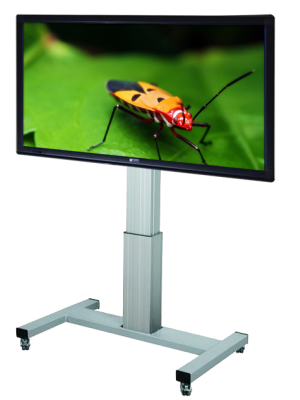 This highly durable wall mount is compatible with all types of interactive whiteboards and interactive flat panel displays having weight ranges from 75 lbs – 154 lbs. The BalanceBox 650-80 wall mount makes it very easy for users to mount and unmount the displays and incurs absolute zero maintenance cost. Whether there is a kid, an adult or a person on wheelchair, the BalanceBox 650-80 wall mount is the best choice due to the reason that it offers manual and smooth vertical adjustment of up to 650 mm (25.60”). 45.5" x 39.6" x 9.4"